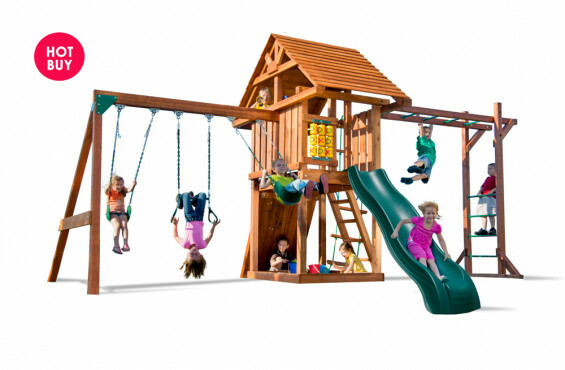 With our series of redwood swing sets, you get bigger, better construction with more action-packed features. 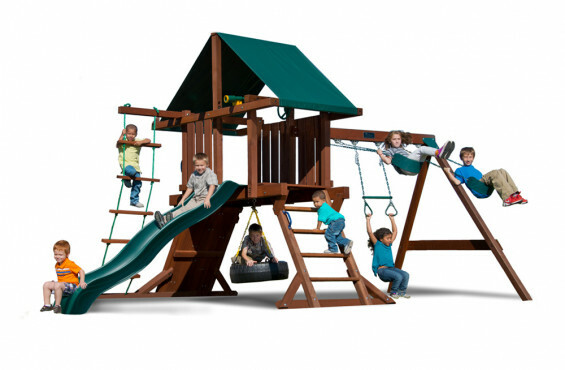 A sweeping 9 ft. wave slide, large play deck and 3 position swing beam highlight this series. 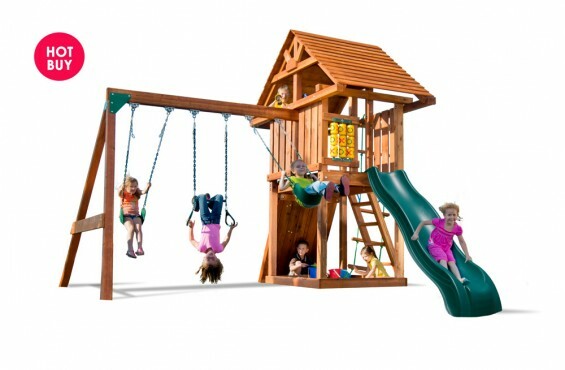 Our selection of redwood swing sets can easily take on the toughest play on the block. 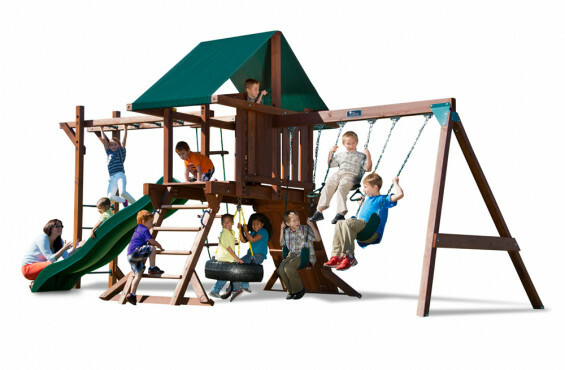 While the overall fun factor of swing sets is important, safety will always reign supreme. 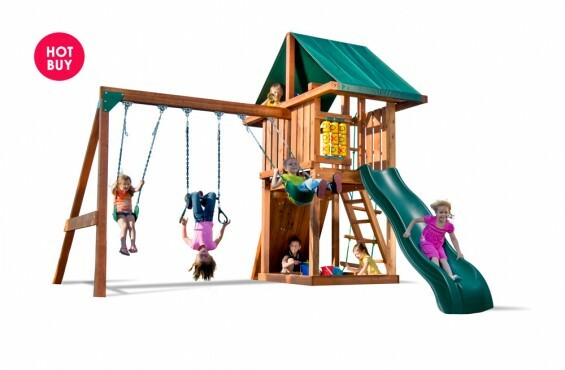 As parents ourselves, we understand that during continuous play, a quality swing set should be hazard free. With recessed hardware and rounded corners, that is exactly what you will get. 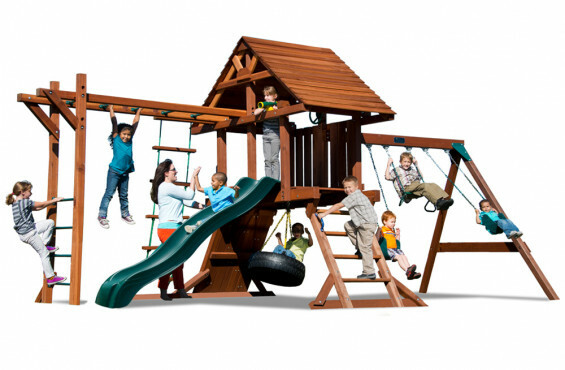 While children are swinging high into the sky, the plastisol coated chains will provide plenty of grip without pinching any little fingers. 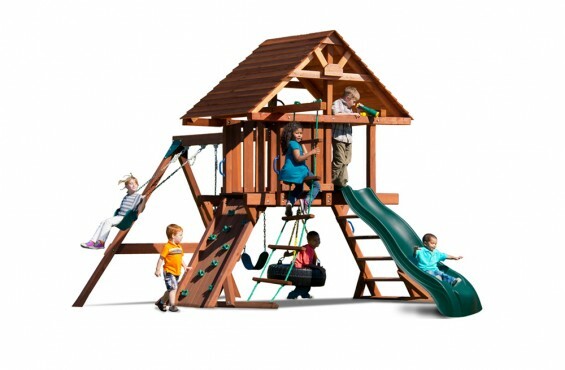 The strength of the redwood swing beam can not be denied as it can hold up to 250 lbs. per swing position. That means parents and grandparents can join in on the fun too! Redwood is one of the most resilient tree species and now you can experience the many advantages of Redwood right in your backyard. Play Deck: 56 in. high, 15 sq. 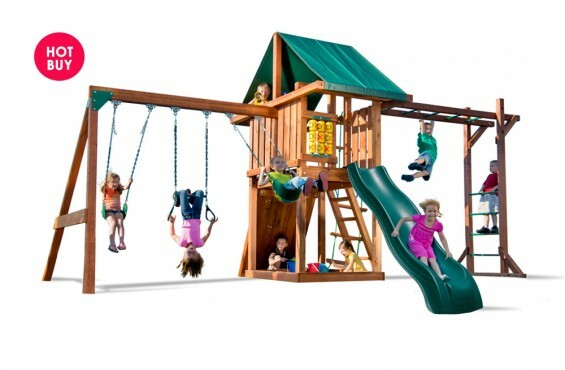 ft.
Plastisol coated swing set chains-no more pinched fingers! Made in the USA: Hand-crafted with pride in the U.S.A.